There’s a certain magic to pixel art, whether it’s the nostalgic aspect or just the intentional limitations of drawing simpler graphics. 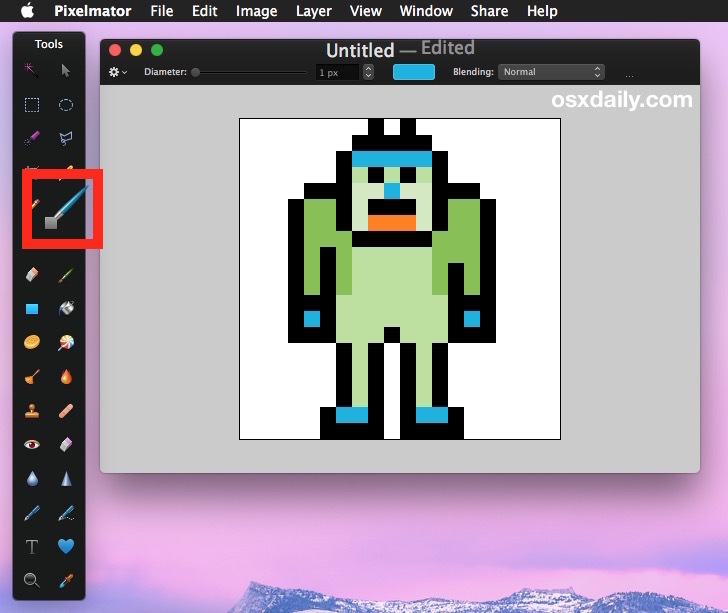 While there are many specific apps intended to create pixel art out there, both Photoshop and Pixelmator for Mac has such an ability as well. We’re going to focus on enabling the pixel brush in Pixelmator here since it’s probably the best Photoshop alternative for Mac. 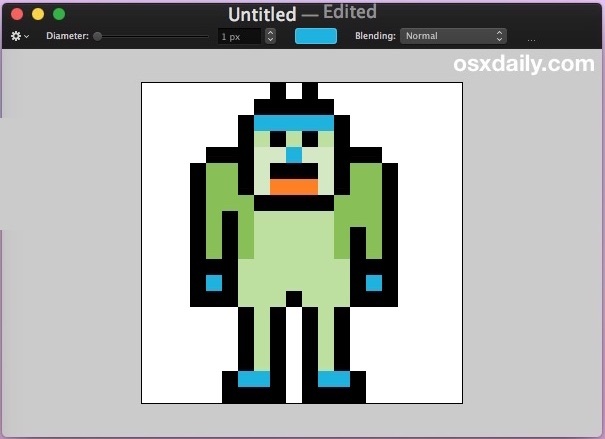 Now that you have enabled the wonderful Pixel brush, you can easily create some pixel art. For best results, you’ll probably want to open a fairly low resolution new image (75 x 75 pixels or so) and zoom way in so that you are at an obvious pixel level. The rest is on you, just select that Pixel paintbrush and have at it. If you’re not particularly artistic (welcome to the club!) then it’s more fun to play around than much else, but as we have all seen in retro video games for Atari, NES, and SNES, artistically minded individuals can get very creative despite the big blocky pixel limitations. There’s my silly less-than-amazing pixel art creation conjured up for the purpose of this walkthrough, which I made into an animated GIF using GifBrewery on the Mac too, which is also quite a fun app. Not exactly a Picasso, but it gets the point across, right? Have fun with some pixels! 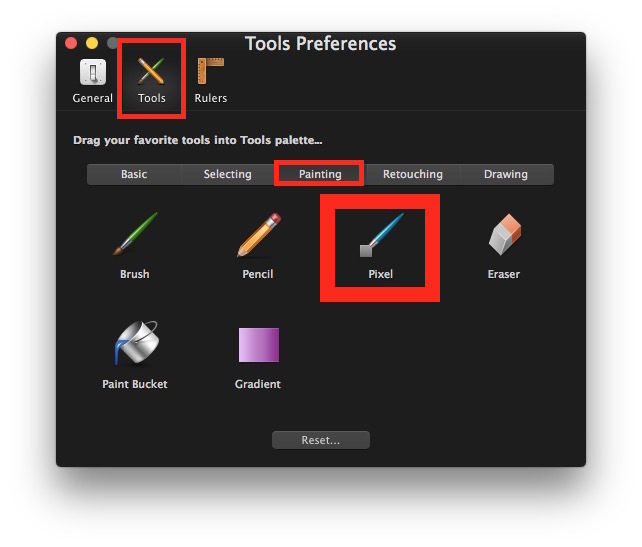 Want Microsoft Paint for Mac OS X? Paintbrush is Equivalent!